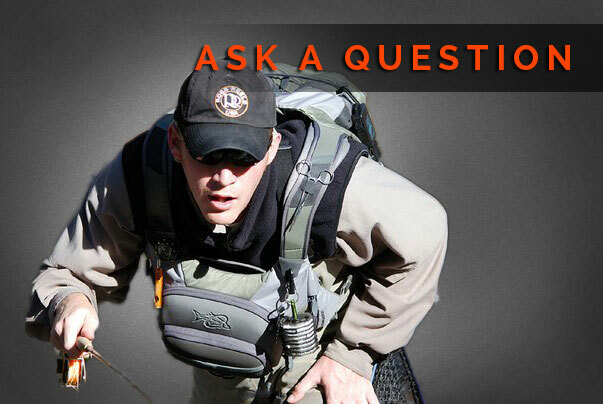 Do you have a fly fishing question that you just can’t find the answer to? Is there something that’s just easier to explain by talking it out over writing? Well then you’re in luck. You can now send a voice message question to The Fly Fishing Basics to have answered. Whether it’s wondering the difference between leader and tippet or what are the best Winter nymph patterns to use, you can now ask me personally and I’ll answer your questions. There may even be a potential podcast in the future where I’ll take reader questions and answer them for everyone to benefit from. Each episode would be short, sweet and to the point to allow you to consume your fly fishing content whenever and wherever. See below for just how to submit your question now. While this is getting ramped up, please enter you name and e-mail so that I can respond to you personally. Further down the line, the e-mail will be optional. I would like to know who I’m answering though and it will make things all the better. I’m using SpeakPipe.com for this service which is what allows anyone to leave me a voicemail message through the Internet. All you need is an Internet connection and a microphone. See the box below and click “Start Recording”. You can also send me a message by clicking on the “Submit a Question” box hooked to left side of the page. Also, please note that while I’ll do my best to answer your question, it’s impossible for me to get to everyone’s. Meaning, you may not receive a direct response to your question. I will answer any qualified questions as they come, but if your question is one that has already been asked by someone else, I’ll kindly direct you to where you may find the answer. Keep following the website though–most questions get answered at some point and I’m planning on sharing them for everyone to learn from.